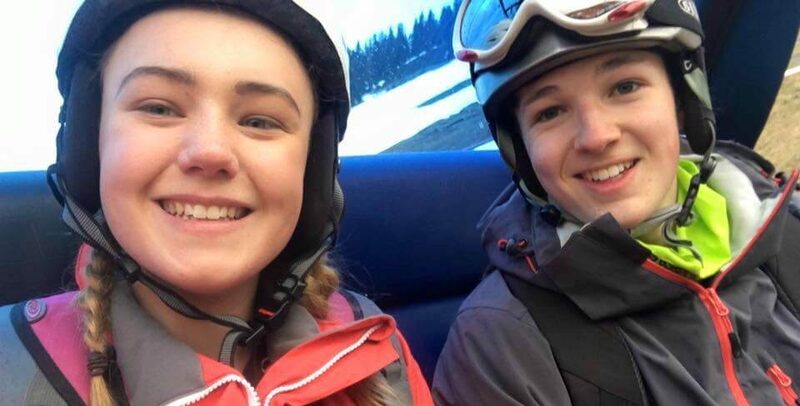 From Friday 7th to Friday 14th of April, we (Cadet Corporal A. Lowe and Cadet T. Evans) and five others from the squadron attended the Air Cadet Austria ski trip to either improve our skiing or to learn how to ski. On the 7th, the coach came from Aberystwyth and met us and other squadrons from around the area in Dudley. As we entered the coach, we were handed a neon green jumper and a green neck scarf. Then, all the cadets took their seats and three long hours later we arrived at Clacket Lane services to pick up more cadets and have a well-needed break. Then, on to Dover where we took the ferry to Calais. Once in France, we had the great treat of watching the movie Trolls. We continued through the night passing the French border and into Germany. 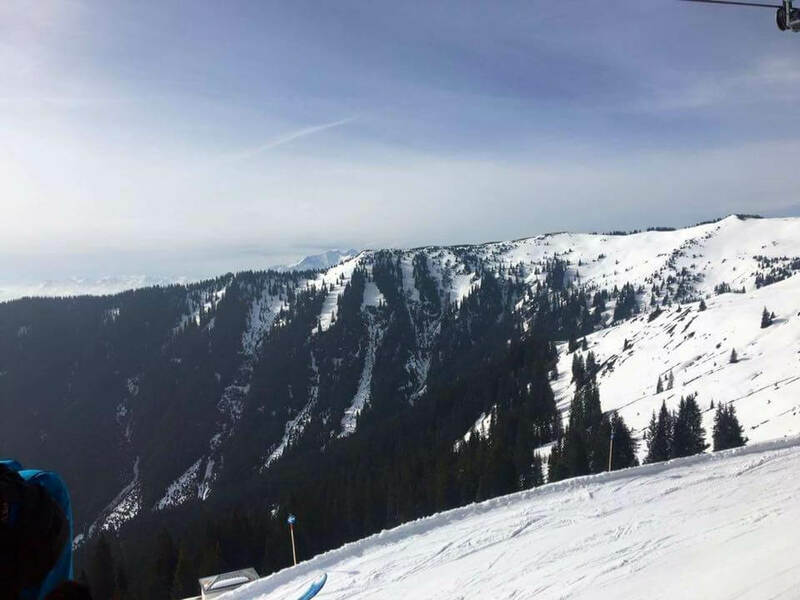 After the gruelling 26-hour journey that we had to endure, on the morning of the 8th April we arrived at our hostel in Saalbach, Austria. That same afternoon we were straight down to the ski school where we got our boots and gear fitted ready for the week ahead. An early night lay ahead as most of us got hardly any sleep on the coach… but soon enough that 6:30 am alarm went off and we were up again and breakfasted ready for the start of an awesome week. On the first day of skiing, we got the ski lift, met our instructors, up to the middle station and were split into groups based on our ability and had about an hour to try and remember our skiing skills on a basic slope. Our second day on the slopes, we moved to an area with more slopes for the beginners. Then four more days of amazing scenery and skiing. I (Cadet Corporal A. Lowe) was lucky enough to be in the advanced group and I (Cadet T. Evans) was in the beginners’ group. Skiing on the slopes was amazing and every day as beginners our group was learning new skills and improving drastically in a small space of time, the instructors were so helpful and easy to have a laugh with. As the days flew by our skiing improved and by the end of the week as beginners we were going down Red runs at some speed with no problems at all …however the odd fall now and then was to be expected. The evenings were great too with good food being put on by the hostel and then later enjoying activities such as Films, going to the local town and one night visiting a luxury spa outdoor pool with steaming water and incredible mountain views. By the end of the week we had got to know other cadets from all over the country and made some good friends and we also got to know our instructors and their quirky taste in music. Below: Cadet Sergeant H. Vinall and Cadet T. Evans. On the final day, we had to do the entire long journey all over again but it was well worth it as we had a great week that we never wanted to end. We have many happy memories for the future of our week in Saalbach.